Can Churchill Finish Season on a High Note? Churchill was widely touted to dominate the flat season after his outstanding start to the campaign. However, the term has not been a resounding success for Aidan O'Brien's charge, failing to capitalise on his early promise. That being said, the three-year-old still has the opportunity to end his season on a high note, however, at the British Champions Queen Elizabeth Stakes at Royal Ascot. Despite his lack of form, Churchill remains one of the leading candidates for the crown. The bay colt is backed in the latest horse racing betting odds at 7/1 to win the race. 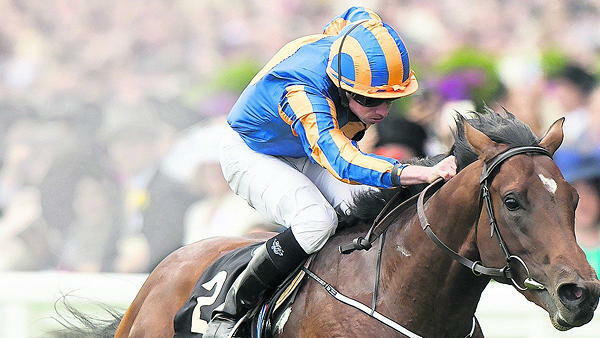 O'Brien will want to see one of his prized assets return to his best on the track after failing to match expectations. The three-year-old came into the campaign as the most exciting prospect in the Class One group of horses. He won five races on the bounce in the 2016 term, including the Chesham Stakes at Royal Ascot. After a seven-month absence from the track after his final win of the term at the Dewhurst Stakes, Churchill returned to action as the leading contender at the 2,000 Guineas at Newmarket. The bay colt faced off against a talented field, but put in a fine performance to come through the pack before cantering down the final stretch to beat out Barney Roy by a length. With Ryan Moore in the saddle, he continued his excellent start to the season. O'Brien's charge was even better at the Irish Guineas in Curragh, dominating the field to win by two-and-a-quarter lengths. 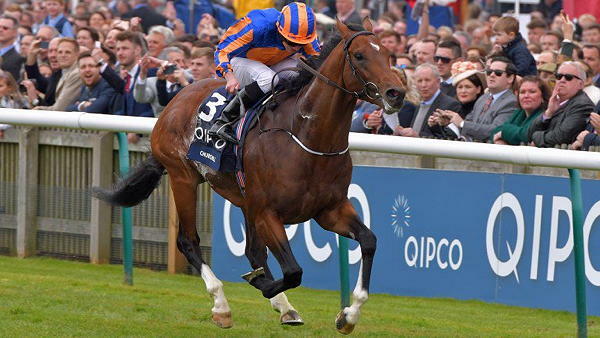 Churchill was the favourite at Royal Ascot to deliver his eighth win on the bounce. However, he put in the worst display of his career at the St James's Palace Stakes, failing to compete in the final throes of the contest. Barney Roy won the event by a comfortable distance, while the bay colt placed way off the pace in fourth. Despite losing out to his rival at Ascot, Churchill was still considered the leading contender for the International Stakes at York Racecourse. Although he put in an improved performance, he still lacked the pace to challenge Ulysses down the stretch, losing out by two lengths. O'Brien put the Irish horse back on home soil in a bid to get the Bay Colt back to winning ways at the Irish Champion Stakes. The bookies still backed Churchill as the favourite to emerge with the crown, and the three-year-old did have a strong history at Leopardstown, winning the Tyros Stakes in 2016. However, O'Brien's charge failed to compete for the win despite making a bright start to the meet. After putting Churchill in position, Moore and the bay colt were unable to find a higher gear and knocked well off the pace, settling for a seventh-place finish. The three-year-old has a major challenge on his hands to rise to the occasion at Ascot. Ribchester, Barney Roy and AL Wukair are among the competitors that are vying for the crown - therefore Churchill and Moore must ensure they put in a flawless performance to have a chance of breaking his winless streak.